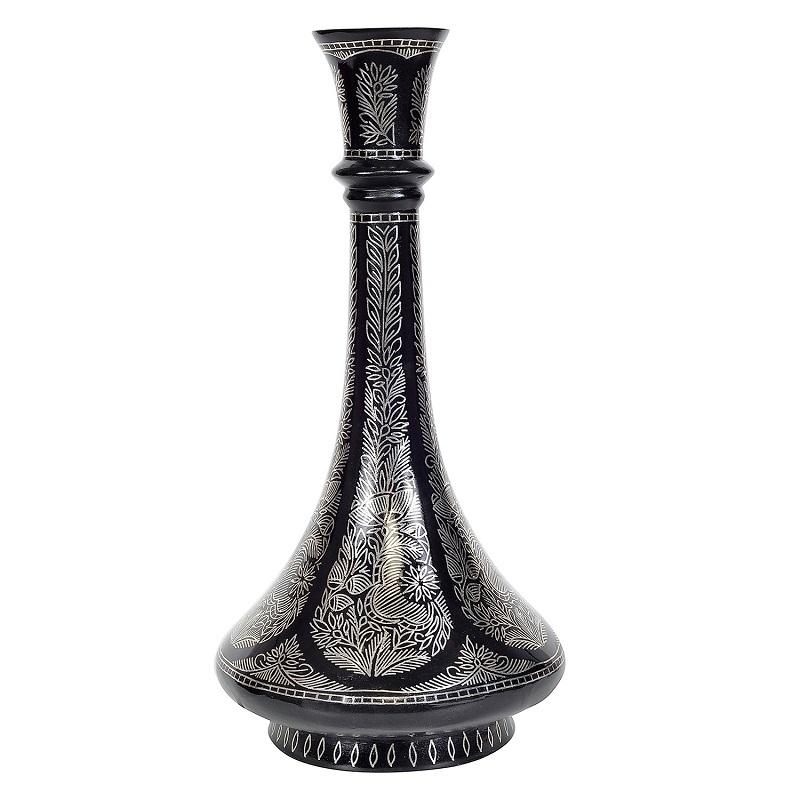 Bring Serenity to your Surroundings with this flamboyant Silver Inlay Vase meticulously handcrafted to reveal the brilliance of silver damascening work on the precious black metal. 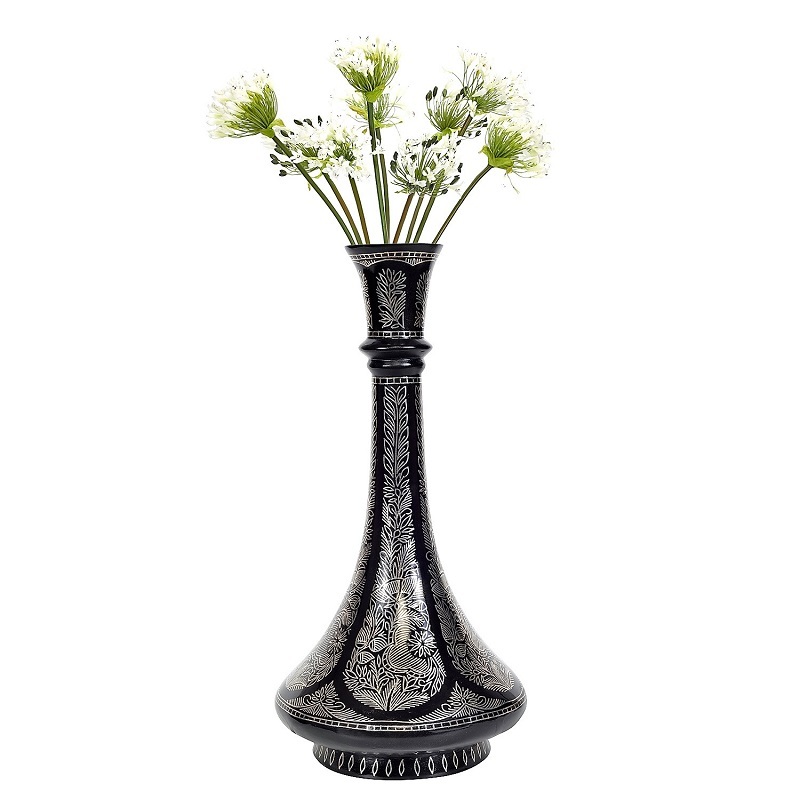 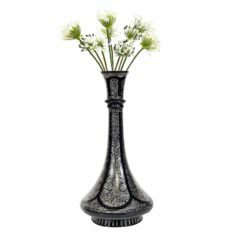 The vase in inspired from the Mughal era Motifs and is a perfect decorative for royal you. 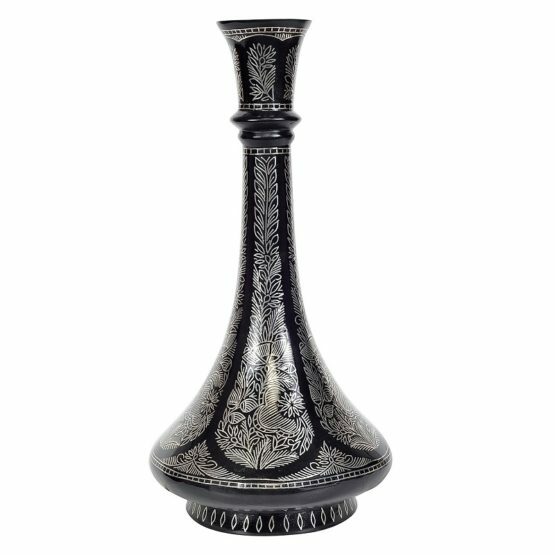 Handcrafted by Shri Abdul Hakeem, Chief Craftsmen, GI Panchayath Bidar, A State & National Merit Awardee for Bidriware Handicrafts. 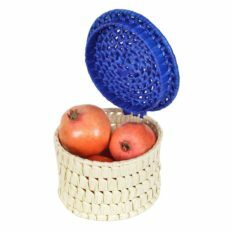 Marketing & Branding Courier Bag & Corrugated Box.